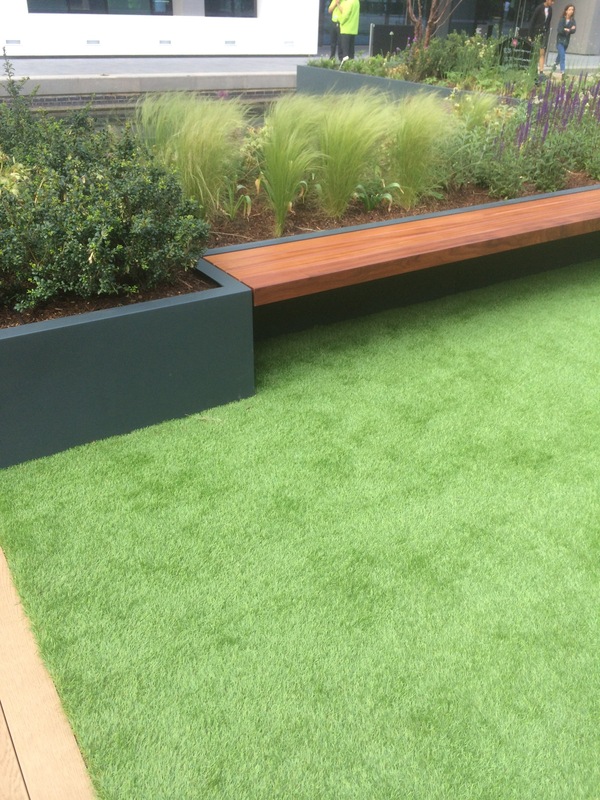 Earlier in the week, on something like Gardeners’ Question Time, I heard mention of the new ‘Paddington Pocket Park’ which is a garden floating on a pontoon in the Paddington Basin at Merchant Square* and parked that in my mind as something to visit. Yesterday, after another lovely visit to Lewisham Shopping Centre’s pop up maritime museum I decided to head into Camden and ‘do’ one of those water bus journeys from Camden Lock. Checking the details (where to pick up the boats, where they actually go and so on) while sitting on the 24 bus from Charing Cross to Camden Lock I realised that the boat goes to Little Venice which is conveniently close to Paddington Basin, so I ended up visiting the pocket park too. Pic credit: Me! @JoBrodie (boat in pic is unrelated to the boats mentioned in the post). The Water Bus from Camden Lock to Little Venice was lovely and I’ll post up some pictures from that separately, but this post is about the little silver-grey ‘GoBoat’ boats I kept seeing in the canals. They’re small boats that seat eight and you and up to seven friends can hire one and pilot yourself around London’s waterways. I didn’t really know what I was seeing at first – it looked like a table boat, literally a boat with a table in it and I assumed it must be a quirky one-off miniature floating restaurant, then I saw another couple of them and realised it must be a ‘thing’. 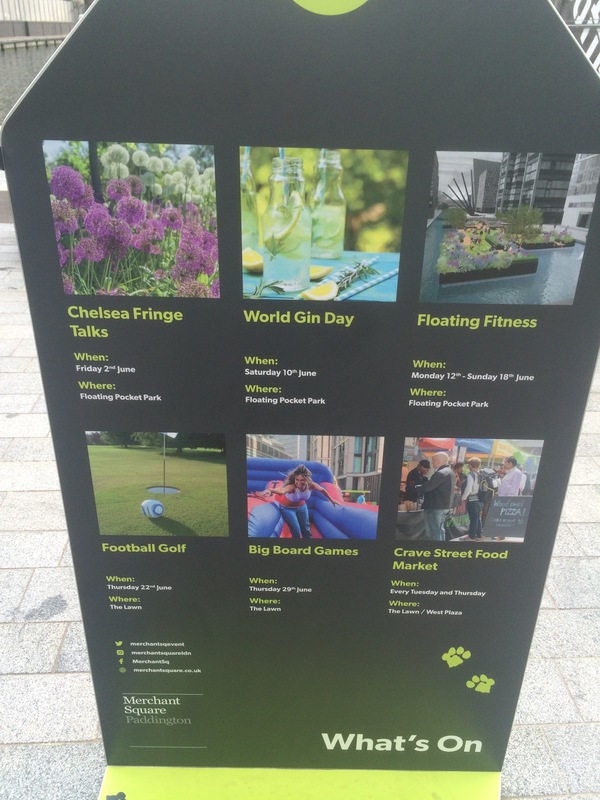 Apparently these GoBoat boats launched in London in May, and their terminal is in Merchant Place… where the floating garden is! I’m now telling my friends about this so that I can try this out! 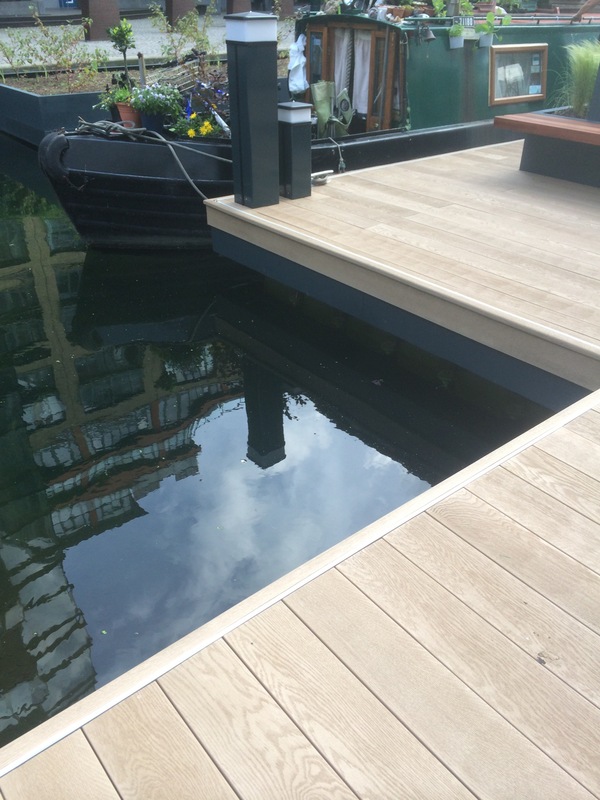 *One way to get to Paddington Basin is via an entrance just to the left of the Tesco Metro on South Wharf Road, which is near Edgware Road station and links to Praed Street and Paddington Station. As I was coming from Little Venice mooring point I walked up towards the blue bridge and turned left past the Waterside Cafe, down Westbourne Terrace Road and onto the A404, picked up the 18 bus (stop on the right hand side) and took it two stops to the Police station, then walked back a little to take the underpass to the other side. I used the Citymapper app to get me there.